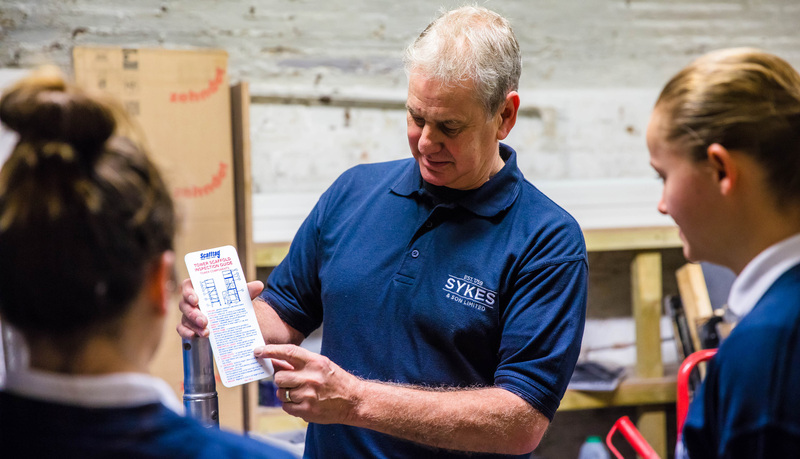 “Having joined Sykes forty years ago as a Trainee Surveyor and worked my way to the position of Managing Director, I am perhaps a perfect example of how the business offers limitless opportunities to staff to progress within the business. The combined length of service of our staff exceeds 1,000 years – an average of more than 9 years per employee. In today’s uncertain and transient times, this is a statistic with which we are extremely proud and bears testament to the consistent investment that we make in our staff and the pride that is felt by all in being part of a business with such a long and illustrious history. Alongside are a few profiles of some of our staff who have been given an opportunity to develop a career at Sykes with brief details of their journey to date. 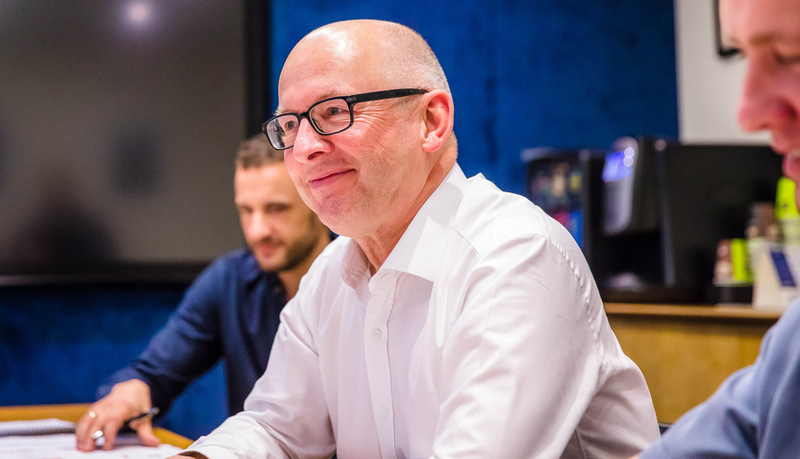 We will continue to offer opportunities to new staff to join the Sykes family and to leave their mark on a company as it heads towards 300 years of building and maintaining some of the finest buildings in London and the South East”. Chris first worked with Sykes whilst on work experience from school. From there Chris was offered a carpentry apprenticeship, with his training including periods at Buckingham Palace, Royal Courts of Justice and London School of Economics. 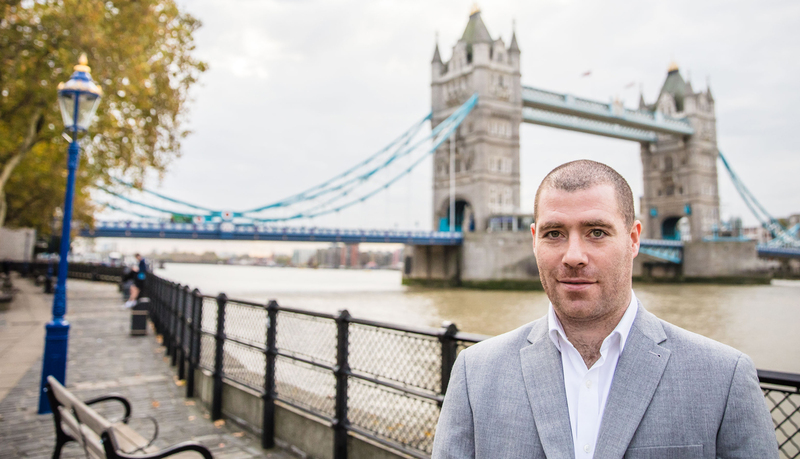 Now 28, Chris is a Site Manager at University College London managing a team of 10 staff on a small works term contract valued at £1m per annum, having previously managed our maintenance term contract at HM Tower of London. 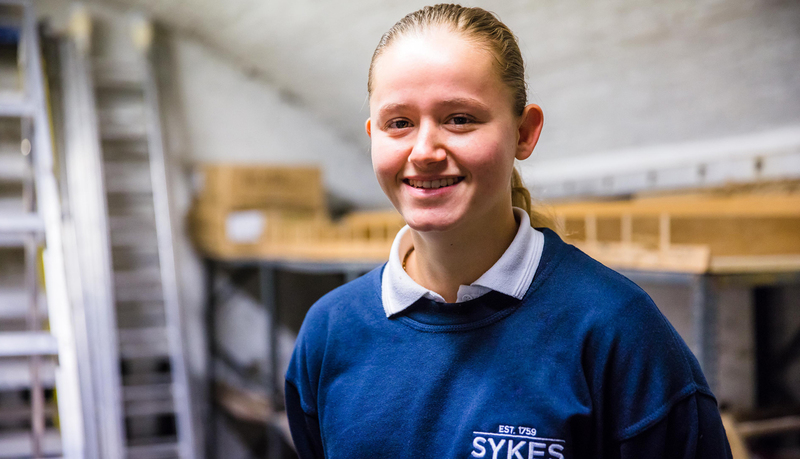 What are your memories of the 2-week work placement at Sykes when you were 15 years old? My first memory was sitting in reception waiting to be collected by a member of staff and feeling really relaxed. I was shown around the offices, being greeted by members of the team from all departments. I was in the office with Accounts for two days followed by three days on-site helping to measure and collect information to issue quotations. The second week was spent on the tools with a carpenter at the Royal Courts of Justice and Foreign & Commonwealth Offices. What appealed about a carpentry apprenticeship when you were considering a career and where did you spend the apprenticeship? I only really took an interest in sports and hands-on working whilst at school if I’m honest. I felt at ease and in my comfort zone and believed the best thing for me was a career working with my hands knowing I can look back and say, “I built that” and for me carpentry was the best fit. My apprenticeship was served on a number of Sykes contracts including Buckingham Palace, V&A Museum, Royal Courts of Justice, Foreign & Commonwealth Office, London School of Economics and the Old Admiralty Building. How did the move into site management come about? I was working at the UCLH and an opportunity for some additional out-of-hours work came up, which I put myself forward for. This involved supervision of sub-contractors and as the weeks went on, my responsibility increased. This led to a supervisory role on a project at Somerset House, controlling the carpenters and painters, organising labour and day to day management duties. Again, responsibility kept increasing and I was moved over to the Royal Academy of Arts on a minor works and maintenance contract in a role as working foreman. When the Site Manager moved to another project, I put my name forward to, and took charge of the contract. This later led to projects with the likes of Queen Mary University before I took on the management of a measured term contract with HM Tower of London. I’m proud that I have followed in my Dad’s footsteps in gaining a trade and moving up into management, knowing that I can carry out any task with confidence and not be fazed by the job at hand. What do you think sets Sykes apart from other contractors? For me, knowing that there is room to progress within the business. You are known throughout the company not just by the operatives you work with daily, but senior managers know you by face and name not just your employee number. Getting to work in such iconic buildings every day, that people travel to from across the world. What do you remember about first joining Sykes and how do you see your career developing over the next few years? I felt like part of the workforce straight away. I’m looking forward to completing my training whilst improving my skills every day and continuing to grow in confidence. Have you worked in any interesting places during your apprenticeship? The Royal Palaces especially and I recently helped to redecorate the Queens Chapel toilets, which is not something you can say every day! There’s a friendly, family feel and the nature of the work we do in such world famous and historic properties. What are you most proud about in your career to date? The places I’ve been able to work in and my own improvement in my abilities.